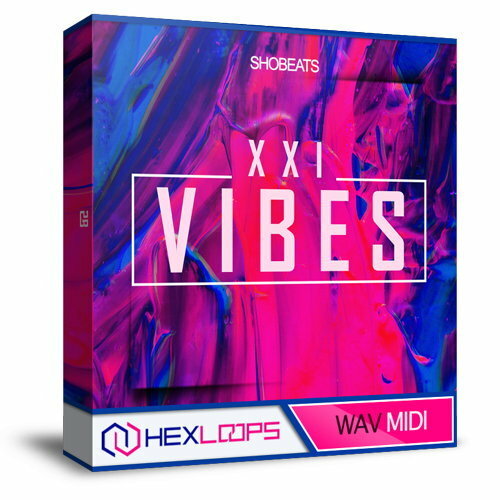 XXI VIBES is a pack originally produced by SHOBEATS. That brings you 5 high-quality construction kits, with banging 808s, clean sounds, tuned electronic sounds & hard-hitting drums, to boost your productions to the heart of the trap sound. SHOBEATS carefully crafted the sounds you need to achieve this sought-after sound in the style of Lil Skies, Juice WRLD, DRAKE, Lil Uzi Vert, XXXTentacion, Future, Young Thug, Travis Scott, Tory Lanez, TM88, Metro Boomin and more. Now it is time for you to take over and use these sounds to cook up epic trap bangers! All Sounds and Samples are licensed as Royalty-Free for you to use in your commercial productions or even for DJ/Remix purposes. This pack comes as high-quality WAV one-shots. That means you have no restrictions and full control over your beats.